*Update (3 March): Patrick has enlarge the album cover to two larger sizes so that you could see clearer. Merci Beaucoup. It's okay if you didn't succeed on enlarging them, Patrick :). They still look great. *Update (24 Feb): Another great news. EMI Japan said that there will be handwritten messages from the boys in the album. Japanese fans are so so so lucky. I wish they could sell those albums in Singapore. Thank you to Yuki for finding out the news. Hey all. Sorry I haven't been blogging much cause I was away on a holiday to Korea. Now that I'm back, I can update this blog. While I'm gone, EMI Japan has posted the song list for the new album, Japan Commemorative Edition Album. It'll be released on March 14, as I've said here. Thanks to Patrick for the link :). Below are the song list for the album. According to Mini Angels, the songs on the list will be also a list for the Spring Tour concert in Singapore and Tokyo :D!!! 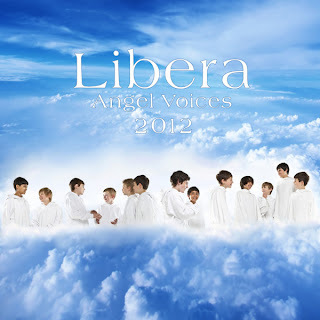 And plus, an extra song or two will be sang by Libera too. I wonder what song will they sang. Maybe an encore :)? Can't wait for that. BTW, the songs that I've colored RED is that you can listen to the samples of these songs. Thank you, Yuni, for telling us. Click here to hear the samples.